The fourth of July is right around the corner! If you are looking for a fun patriotic craft to dress up your front porch, Kierste has a great tutorial for you. 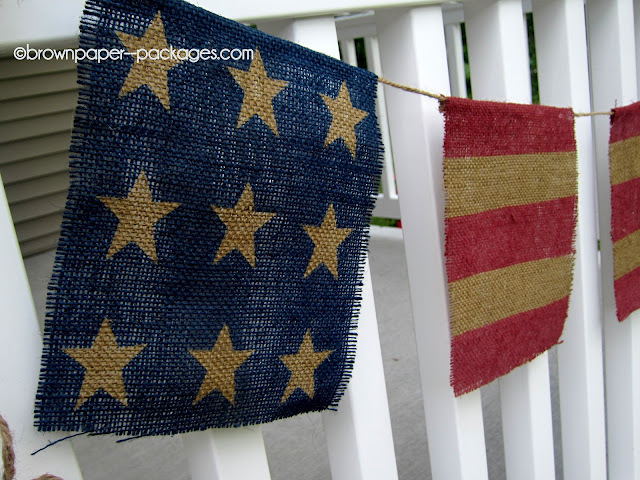 She will show you how to turn some boring burlap squares into a fun stars and stripes banner. This DIY 4th of July decoration is even one the kids could pull off on their own or help mom with, although it might come out a little less polished than Kierste's, it would still be an adorable decoration. You can check out this DIY Stars and Stripes Banner over at Brown Paper Packages.